I am often asked by people who have developed an interest in “politics,” how they can “get involved.” Sometimes they come to me because they are deciding whether to run for office or how to run for office, and sometimes they have developed a passion for an unresolved political issue. This post is, in part, for those people and for Rita Bridges who asked for specifics on the Friends of Hall County GOP Facebook Page. You are affected by politics whether you want to get involved or not. Your taxes will go up or down, laws will be passed and repealed, cronies will be paid outrageous fees or enemies fired for no reason, roads will be paved or fall into disrepair with or without your input. However with your input and oversight the system will work better. This is true whether you agree or disagree with me on any particular issue. This is a natural law of politics. If you don’t want to have what is left of our Country run into the ground by Obama and his cronies, saddled with overwhelming debt, and encouraged toward socialism and therefore serfdom, then you need to get involved. Right now. Yes, I mean today! Getting involved is a simple as taking 3 steps. The more resources you have at your disposal, the more steps you can take, and the faster you can take them. By resources I mean your money, employees, and physical things, but I also mean your ideas, your passion, your skills, and your strength. Politics is a social function, and that means people and interacting with people—lots of people. No matter how important we think we are, we are all just people. I often say that America was built on a healthy distrust of authority. I believe that the more eyes are observing our government, the more trustworthy our government officials will become. Politicians benefit from hearing all sides of a debate. Knowing all the sides of an issue allows a politician to demonstrate their true spirit. Your ideas and opinions are an essential part of that equation. Technology and social media are critical components of politics today. If you don’t have an email account, then set one up right away. Depending on the U.S. Mail is antiquated and already outdated. If you want to keep your personal and political life “separate,” then set up a separate email account just for political activities. If you don’t already have one, set up the following accounts (all free): PayPal, FaceBook, and Twitter at a minimum. Have no fear, you don’t have to say or post anything on these sites so your privacy is not at risk—you can simply use them to keep up-to-date. Everyone who is anyone in politics is telling the world what they are doing, when they are doing, and when they are doing it via email, FaceBook, and/or Twitter. If you are not sitting near a computer most of the time, then you will soon want a smartphone. Memberships and donations are one way that others can readily identify your political affiliation. Donate what you can (money, time, ideas). At this point, donate to the local GOP or State GOP directly if you are financially able. Money is the easiest way to leverage your time and political activities. 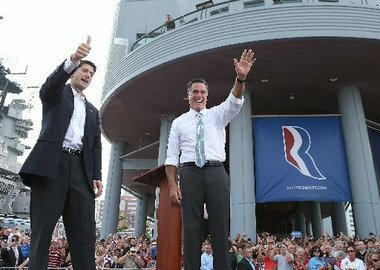 Any donations made to the Romney national campaign won’t help specific political efforts in Georgia in the 2012 election cycle—but are still very much needed. Start with $20 today. Remember that your donations are subject to being tracked and reported to government agencies. That keeps everyone honest. The next step is to participate. By participate, I mean to simply SHOW UP. Yep, that is it. You need to attend rallies, events, debates, and forums. Where do you find out about events to attend? Start with those accounts that I recommended that you set up. Start by following me on Twitter (@litag8r) and see who I follow and follow them too. Find a few friends on FaceBook and join a group that interest you. Our page is found here. Each candidate will LOVE to add you to his/her e-mailing list. Only by showing up in person and proving your interest can you acquire the political credibility to progress your ideals. Sitting at home and anonymously sniping at others over the Internet is disruptive and pointless. The Hall County GOP has regular conservative forums on the 2nd Saturday of the month at 10:30 AM at the NE Georgia History Center in Gainesville. Check www.hallgop.com for details. There are at least 2 other Republican-themed clubs in Hall County alone that have regular meetings. Bring a stranger. Every time you go to an event, bring someone you know who is a stranger to politics. You might be doing them, and us, a favor. Volunteers are needed by each party, candidate, group, campaign, club, and issue. If there is not one that suits you, then make your own. I am working on a volunteer opportunity page on this blog, so stay tuned. Make you availability to volunteer known the the candidates, officials, and groups that you wish to support. At a minimum you can get political signs and put up signs in your yard and ask friends if you can put them up in their yards as well. Each candidate you support will be happy to provide handouts, stickers, and signs. You know what to do with these. The Hall GOP will have Romney signs in a couple weeks. How do you find out when? Email! Get on the list! Vote, and make sure your friends and family vote as well. Take the time to personally talk to 10 friends and get them to donate, participate, and vote. Drive them to the polls or the supervisor of election’s office for early voting. If you know someone who is not registered, help them register to vote. A single atom of iron is no threat to anyone. It can’t even be seen by the naked eye. These atoms have lain dormant in the Earth since the Creator formed them unseen and unappreciated and unused. However, when millions of the atoms are gathered together and combined with other equally harmless elements, then worked by a craftsman with the right mix of skills, strength, knowledge, and experience and combined with the right amount of heat and energy, then those atoms can become a lethal weapon with an edge of the sharpest sword, the most accurate rifle, a battle tank, or a battleship. Liberal organizations like move on dot org and its progeny have done an excellent job of accruing supporters and resources, and have aligned those resources very efficiently against us and our country. You can turn that sword against them. Each American has that potential. You may be the critical element in the solution for America. Your not too old or too young, too wealthy or too poor, too new or too entrenched, too black or too white, you are perfect just like you are. Welcome! Follow me to THE party! On this page I have links, addresses, and phone numbers for how to get involved in Real Republican politics. Contact me to add your information to this list.